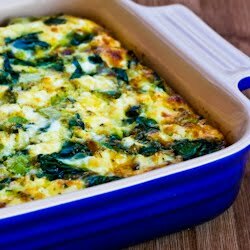 This page has breakfast recipes of all types featured on Kalyn’s Kitchen. For the South Beach diet, notations after each recipe listing indicate Kalyn’s opinion as to which phase of the diet that recipe is suitable for. If you’d like to browse for recipes in this category by photo, you can do that on my Pinterest Board for Kalyn’s Kitchen Breakfast Cravings. Kate, way to go, and so glad the blog has been so helpful. This is such a great list! I have company coming for the weekend, and the breakfast casseroles look great. Thanks again for all you have put into this website. I've lost about 25 pounds so far since March, and having resources like this has been a huge help. Thanks again!